We are getting by, the bills are all paid and the kids jeans aren’t ripped. Well, except for the daughters, but apparently that’s the style! We (and I mean society as a whole) have become comfortable at our level of income. We have worked hard to scrimp and budget to get our expenses at or below our income. To survive it has to be this way. I remember the episode of ‘Two and a Half Men’ where Charlies accountant is using a styrofoam cup to show how this works… He slowly pours water into the cup (representing income) and pokes some holes in the cup (representing expenses). Now as long as the water goes in faster than it drains out every thing is good. If there is a fluctuation in either the income or the expenses there could be a problem. It is hard work to get to the point of there being more water going into the cup than leaving… We try to find a bigger water source (better paying job). We try to plug the holes or at least reduce their size (stop eating out, buy less Starbucks, leave the air conditioner off). It is hard work! Once we find that magic point, that stage where there is just a little more water going into the cup than running out; it’s an eureka moment! We have made it! After a couple of months the water level is still not going down. It may not be going up very fast or at all, but it’s not going down. Success! Now we can relax! We’ve made it, maybe there is even a bit left over for that big screen T.V. or a video game console for the kids (we can use it too). Awesome! Every thing is awesome, the months go by and the bills are paid and the cup is maintaining it’s level. We had a really good year at work and actually get a tax refund this year. Sweet! $2000 extra dollars, like winning the lottery! Nice, We’ve been working hard for a few years now, let’s take the family to Mexico for a week vacation. That was fantastic, the beach, the pina coladas the rest and relaxation… Nice. But, the bills didn’t take a vacation and now, we are out a weeks pay! Darn! We didn’t think of that, all caught up in the excitement of a (well-deserved) vacation. What now? That water is leaking out way faster than it’s going in! Hold on, hold on don’t panic… We can get through this, just not with a payday loan if possible… That starts all kinds of problems! A few less Starbucks, walk to work on Tuesday, it’s nice out anyway! Before we know it we are caught up. It’s an ahhhh moment, we realize that everything is OK once again. Did we learn anything? Nope! It all worked out, still have the house, car, ripped jeans and video game console… No lesson learned at all! A few more years go by and we have been financially responsible. We’ve managed to pay off the visa and even met with the investment lady about retirement savings. We’re doing well at work and after the last raise the level in the cup is actually going up! Things look pretty bright! The kids are growing up quickly and starting to get a lot more expensive, last year a box of KD could feed both of them, now the boy goes through two for an after school snack! Oh, and he leaves his dirty dishes on the table, before he runs out and takes our car to the mall! He’s a good boy and he does throw a ten or twenty in for gas once in a while, but it seems like we’re spending twice on gas and maintenance. The power bill has gone up a bit too, water, cable even the price of KD is way more than it was last year! We look at the cup and OH NO! The water level is going down. To make matters worse, our furnace dies. Good thing we have paid off the visa. Just as soon as we recover from the furnace replacement, the car needs new tires! Now we are in our late forties and at a time when things are supposed to be going our way, every thing starts to come apart. The car is old and needs to be replaced. The kids are wanting to go to University. The roof on the house has reached it’s life span and will be less expensive to replace than fix at this point. Less expensive doesn’t mean cheep! By now, we do have some decent equity in our home and the mortgage guy is willing to let us have enough for the roof. How nice… He even suggests taking a bit more for the flooring and new water heater as well. Crisis averted or new crisis in the making? The value of our home is going up but not as fast as interest or our other expenses. It’s turning into more of a liability than an investment. Yes, our budget allows us to make the payments on the new mortgage, but that money was supposed to go into the retirement investment. It looks like we’ll have to work an extra ten our fifteen years longer than we had planned. We are now into our fifties and (financially) not anywhere near where we had expected to be. We’ve done everything properly, the way the books and advisers have suggested. Maybe a bit of bad luck? Nope it’s the same for everyone! The books are out-of-date, the advisers have been out of school for too long! The world has changed and unless we managed to change with it we are left behind. Broke and unable to stop working when we should. Yes, it’s been a good life. The kids have had everything they needed. Our house is in a good neighborhood and we have lots of friends. But at a time in our lives that we should be able to relax and reap the rewards of our hard work we are left still working hard. Perhaps even harder than before. Lesson Learned – Too Late! Hopefully our job is one (not too physical) that we can carry on and do into our sixties and perhaps even into our seventies. We wish that we had had a better paying job, but that’s not the answer either. It’s a lesson that takes too long to learn that the answer is spending less, much less than our income. Yes there are occasional incidents that come up once in a while. Health problems, earth quake, fire or other unlucky events, but it’s the little things that don’t seem to matter at the time. Imagine if we had cut our Starbucks consumption in half and invested that money. Over the course of our life that’s a significant amount of money. That’s just one tiny example of what we have missed out on. I really hope that you are in a better place than most of us. That your cup has always had more going in than going out. If you are one of the few smart ones congratulations! I hope that you can leave a pic or two of you enjoying your retirement in the comments box, not to say ‘ha-ha’ but to prove that it is possible! If you are like most of us and nearing the point of being able to stop working, but are unable to for financial reasons, ask me how to change things around! There is still time to win. Thousands of people just like us have tapped into the amazing power of the internet. 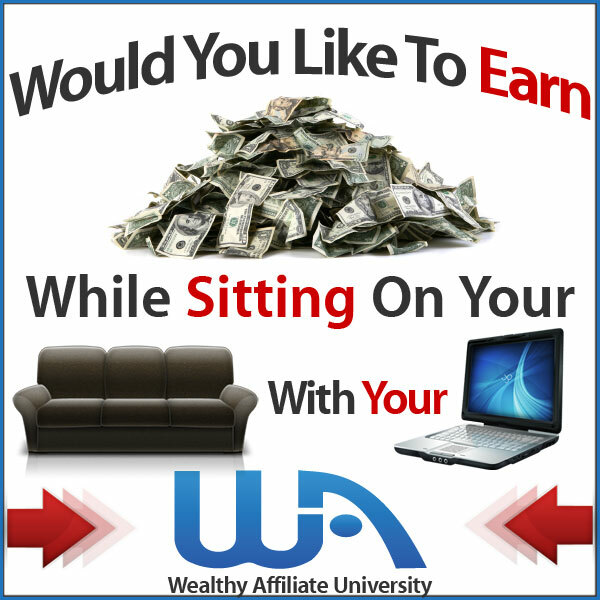 There has never been a better time in the history of man kind to start your own online business. There are nearly four billion people on line around the world right now and all of them need something! It is easy to learn what these people need and almost as easy to figure a way to supply that. Never before have we had access to nearly 4 BILLION customers! Learn how to make money on line here! Thank you for reading my post and I hope that I haven’t depressed you too much. My name is Robb Murray and I am so excited at the opportunity to help people escape there life sentences and move on to success. Just be assured that there is a way to get out of your job while you still have time to enjoy things. Affiliate marketing is a business that you can operate from anywhere (in the world) that you have access to the internet. 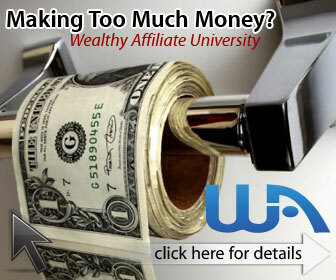 You can learn everything that you need to succeed as an affiliate marketer here at Wealthy Affiliate. Check it out for free! Leave me a comment or question in the comments box and I’ll respond quickly.